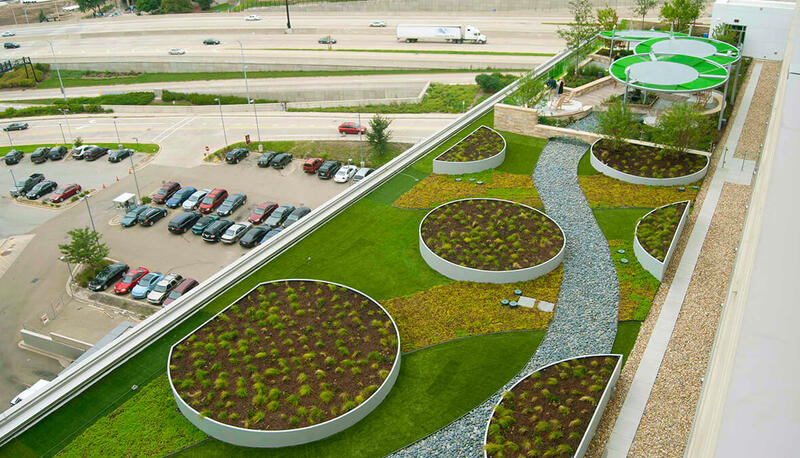 The Lynn and Jerry Flaherty Family Respite Garden was designed with two purposes in mind; first, to be a place of respite for the staff and families of the Children’s Hospital of Illinois and secondly, to offer patients in the surrounding buildings attractive views of the rooftop garden from their rooms. 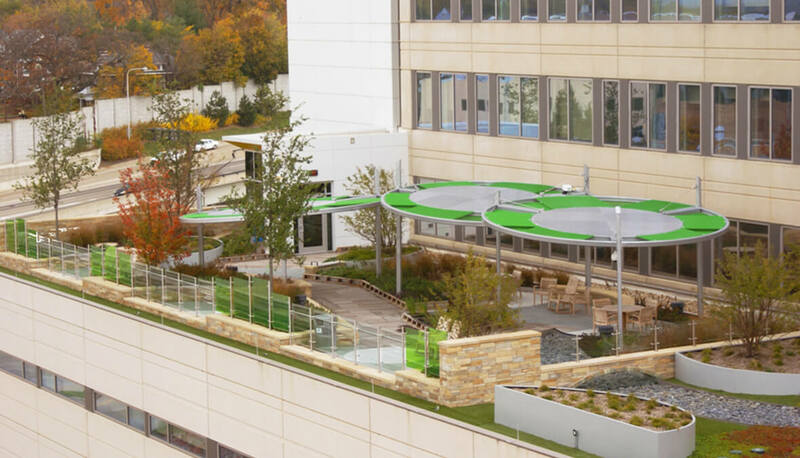 Located on a rooftop in the hospital’s helicopter helopad, the design concept is based on a journey through the woods which ends at the edge of a meadow. A pathway of “fallen trees” and open clearings is set amongst the wooded areas. 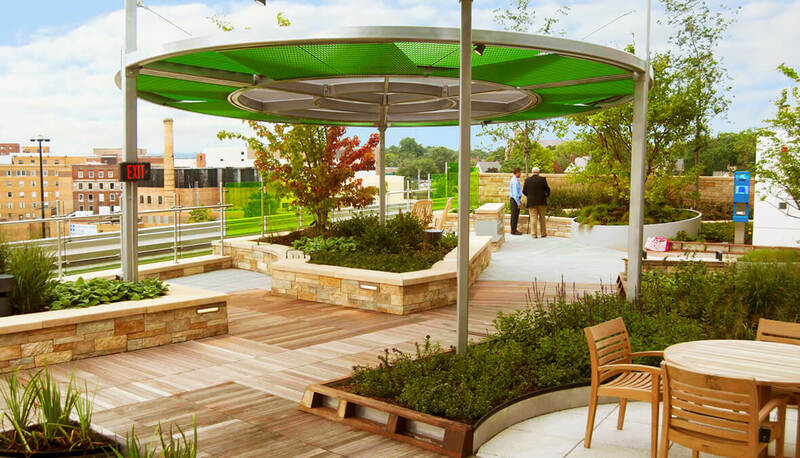 This design allows private gathering spaces to be made within the healing garden setting. 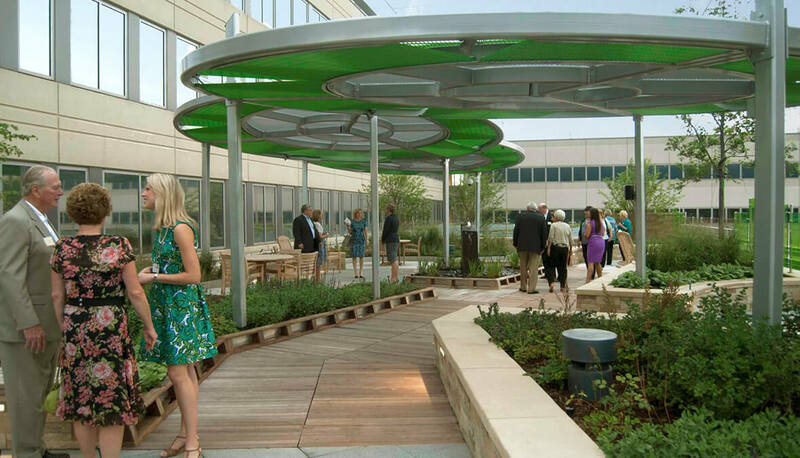 Shade structures with translucent and perforated panels mimic the canopy of a forest and provide coverage for seating areas that can accommodate groups of various sizes. A small water feature is the beginning of a metaphorical stream that continues through the garden and connects the west garden with the viewing garden to the east. 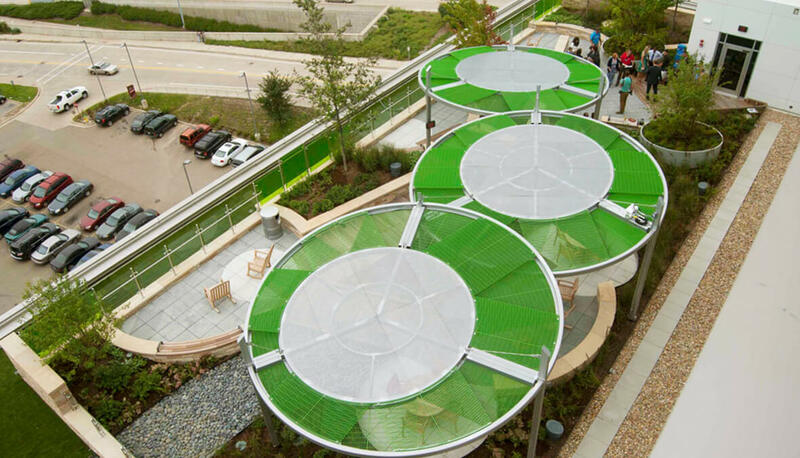 Seating areas and benches are oriented to the south and provide scenic views of downtown Peoria and the Illinois River.